Otakughoul (3 vuotta sitten) #5562568Has anyone pre ordered Tokyo Ghoul Collector's Edition? It's to expensive for me, so I might get the limited edition. I preordered it FOREVER ago from funimation and they ended up delaying it till february because there was some sort of defect with the product. the only thing is, other retailers like amazon and others already had the defected products and sent them out. From what I've seen there hasn't actually been anything wrong with it, but just to be safe, I highly recommend preordering from funimation just in case. imo, it looks like it's worth it. February is still a while away, so maybe you can save for it? 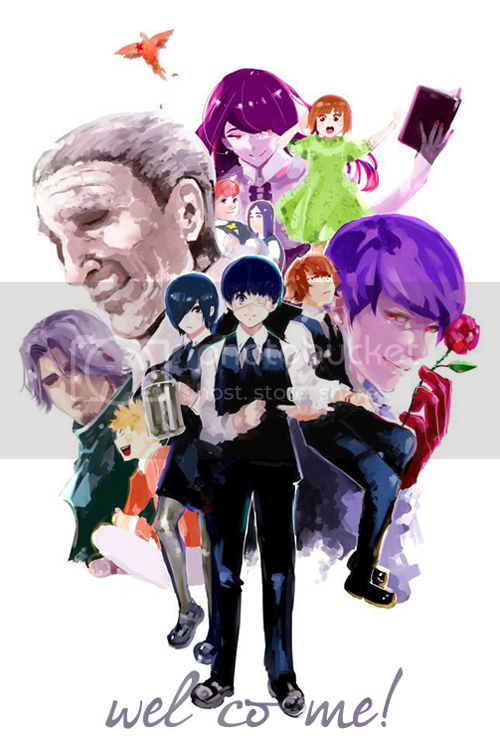 Has anyone pre ordered Tokyo Ghoul Collector's Edition? It's to expensive for me, so I might get the limited edition. Huge rumour circulating about a Season 3 releasing next year. Pinto OVA releasing in December. (Tsukiyama's past, based one one of the light novels, I believe). Cloudedmind (3 vuotta sitten) #3121842It's about the manga. Hopefully we'll hear more about a season 3 soon. Sensawy (3 vuotta sitten) #3119563I think this says December?! youngjump.jp/to...Kitah (3 vuotta sitten) #3119876Isn't that page just for the manga though? Isn't that page just for the manga though?